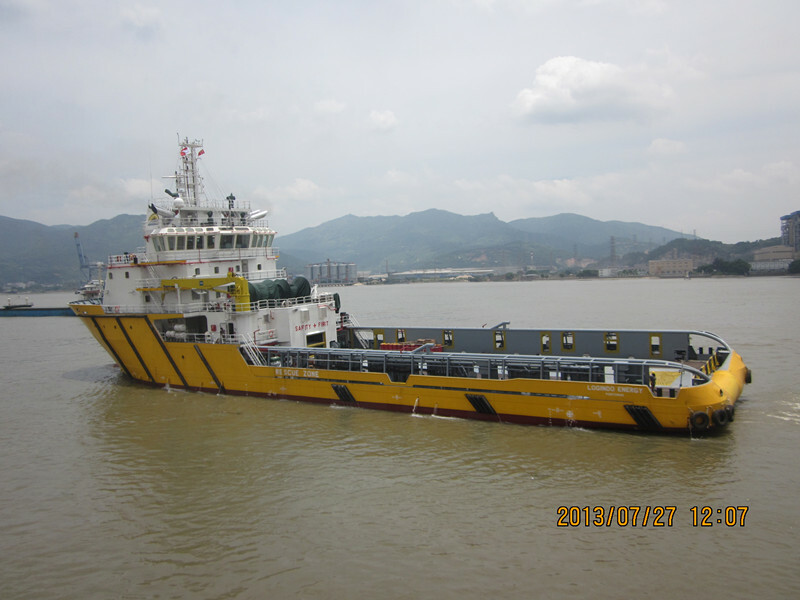 August 2013 - Fujian Shipbuilding Trading Co. Ltd.
One unit of 59m anchor handing tug supply vessel(DN59M-106) was delivered to the owner by Southeast Shipyard recently. Xiamen Shipbuilding delivered 2 units of 75m platform supply vessel to the owners within 2 weeks. On July 27, Southeast Shipyard delivered one unit of 78m AHTS to the owner.